Inpatient care is the most intensive level of psychiatric care. When receiving inpatient care, individuals are monitored for safety 24 hours a day, and receive intensive treatment. During an inpatient hospital stay, patients stay at the hospital around the clock. Inpatient hospital treatment can help people start on the road to recovery with intensive therapy, medication, and monitoring in a controlled environment with resources available at all times. During inpatient treatment, patients typically receive therapeutic assessment, intervention including medication and therapy, and treatment as appropriate for their specific needs. 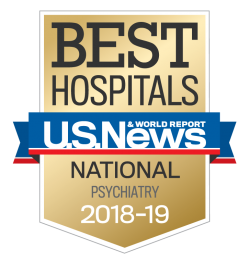 In addition to acute care and crisis stabilization, inpatient care is available for specialized treatment for suicidal ideation, anxiety, depression and other mood disorders, bipolar disorders, substance use problems, eating disorders, psychotic disorders, geriatric care, neuropsychiatric conditions, and more.